In 1947 John Brooke-Little founded the Society of Heraldic Antiquaries, and almost immediately began to distribute a cyclostyled newsletter, the Escutcheon. This annual publication chronicled the Society’s early evolution and contained some informative articles. It was joined in 1950 by the quarterly Coat of Arms, which became the platform for armorial scholarship, a role it fills to this day. From 1957 the Society (by now renamed the Heraldry Society) published The Heraldry Gazette as a quarterly newsletter. In addition to Society news, it fearlessly chronicled current heraldic uses and abuses, carried members’ opinions and queries, gave news of sister societies at home and abroad, and discussed topics arising from meetings and visits. Sixty years later, The Heraldry Gazette, now a full-colour magazine, is still the best place to find Society news and shorter articles on heraldry and is a platform for communication on all matters armorial. 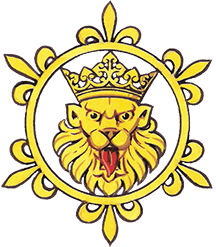 The Editor welcomes copy from members for inclusion – contact gazette@theheraldrysociety.com. We have a limited number of printed back numbers available via librarian@theheraldrysociety.com, but if you would like to have the whole run see the Heraldry Archive disks.